This cute and cuddly calender is for sale at Misako Mimoko's Etsy's shop. I absolutely love it. 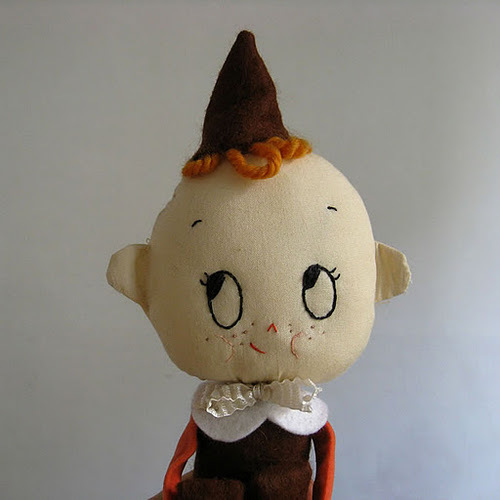 The calender with retro looking Dolis y dolos dolls and graphics is created by Eva Monleón from Barcelona, the creative talent behind Misako Mimoko and the lovely handcrafted Dolis y dolos dolls. Helemaal fantastisch vind ik deze retrostijl kalender met Dolis y dolos poppen. 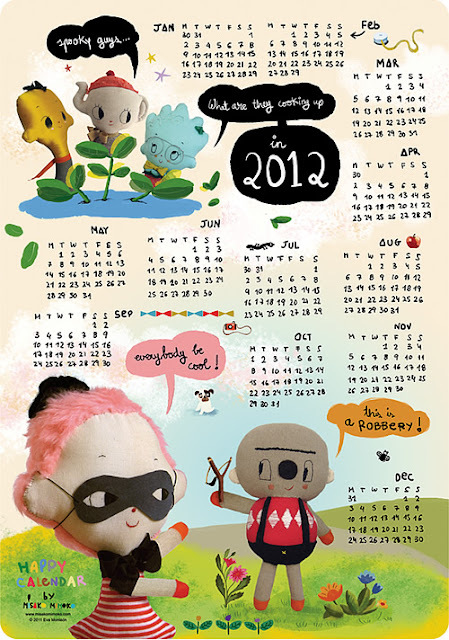 De kalender is te koop in Misako Mimoko's Etsy shop. De shop is van Eva Monleón uit Barcelona. Eva is de creatieve duizendpoot achter Misako Mimoko en de handgemaakte Dolis y Dolos poppen. Eva maakt naast poppen nog veel meer (broches, tassen, kettingen en meer), ze geeft workshops, heeft twee blogs (Misako Mimoko en Dolis y dolos) en een Etsy shop. Thank you so much for this lovely feature, I've just discovered your inspiring blog and I love it! One of a kind cactus for Valentine!! What do you give for Valentine's day? Try it out - Google image search experiment!!! Dress me cuddly and chic! !